Once we grab our readers’ attention, a feat of its own, convincing them to continue reading is another challenge many writers face. 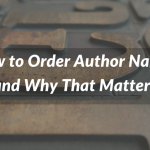 This problem concerns not only novelists and marketers but also researchers like you. 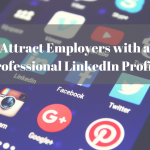 You devote countless hours conducting your investigation and are eager to share your findings with the world, but you’re not alone in this endeavor. 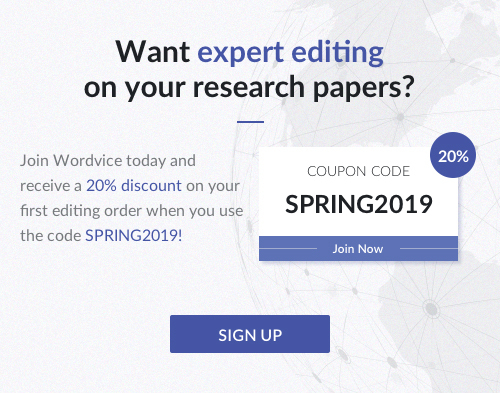 Thousands of other academics want the same goal, making it difficult for editors to sort through the overwhelming number of submissions they receive. 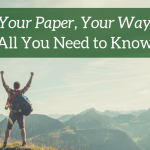 How, then, can you improve your chance to publish your academic papers successfully? Write better. Not only does the substantive information need to be interesting, but also your writing style should enhance readability and engagement. A monotonous and dull paper means no audience, which translates to editors rejecting your paper, even if your research findings are solidly grounded. To help you spruce up your paper, we provide the following quick list of ways to improve your writing style. Academics write long-winded sentences. Add scientific terminology to the mix, and you’ve created an incredibly hard-to-read manuscript. To help readers digest your paper’s content, shorten your sentences. 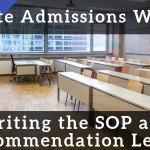 Not all conditions, modifiers, and exceptions need to be included in one sentence. Below are a few ways to achieve concise, higher impact sentences. 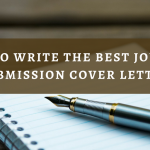 With these tips, you’ll reduce the chance of losing readers who feel lost in your entangling prose. 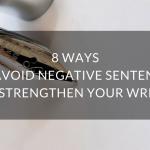 Break apart longer sentences, particularly those longer than 20 words. Use logical transitional phrases to link ideas together instead of relying solely on conjunctions. If you have a series of long clauses, break them up by inserting brief ones. 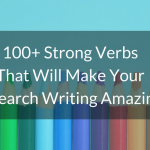 Save your most powerful content for concise phrases. 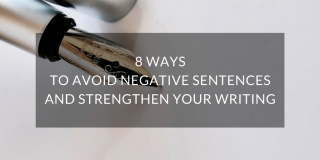 Short sentences stand out, and the key message you want to convey won’t drown in a sea of words. 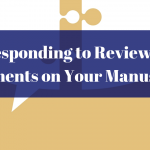 “You used the same word four times in a paragraph, particularly in consecutive sentences. You might want to diversify the vocabulary,” an editor suggests. Don’t you tire of reading the same words over and over? Your audience feels the same way. Constantly seeing similar patterns is dull, and even our brain disapproves of such writing. When we become accustomed to repetitive things like words on a page, our eyes gloss over them and we lose focus. 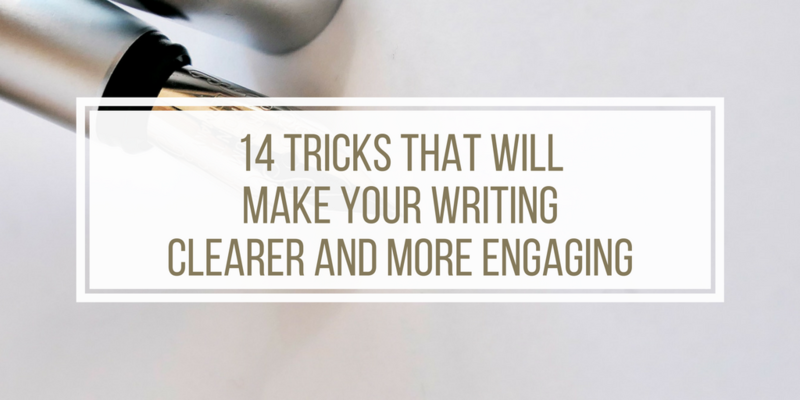 Keep your readers engaged by switching up your prose. The following are a few ways to help you diversify your vocabulary. Use synonyms when possible, but be careful that the substitution fits the context. Don’t forget that pronouns and other demonstratives are your friends. Make sure that pronoun references are clear, however. Organize your paragraphs so that similar ideas and topics are together. 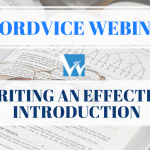 This method will help you establish more precise references for pronouns and demonstratives. Repetition can be useful for emphasizing a certain point. Use it sparingly or the repeated phrases may lose their impact. Like expanding word choice, varying grammatical compositions can help engage readers. For example, consistent use of “subject + verb+object” in consecutive sentences is tedious to read and is akin to child-like writing patterns. Our brain will gloss over the monotonous text. What can you do to correct this problem? Here are a couple of pointers. Mix compound and complex sentences and insert simple sentences to give readers’ eyes periodic breaks. 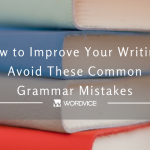 All your sentences shouldn’t be the same length, regardless of their grammatical construction. You can apply the advice from all three points above to paragraphs and sections. Make sure consecutive blocks of text don’t begin with the same phrases/words. All your paragraphs don’t need to be the same length. Switch around structures. Use bullets and numbered lists where appropriate. Keep your paragraphs short. No one wants to read a wall of text! We hope this checklist of bulleted revision tips have given you some new tools for strengthening your writing skills and producing clearer drafts. As always, if you would like additional tips and advice on how to improve your drafting techniques, feel free to browse our articles on our Resources Page.